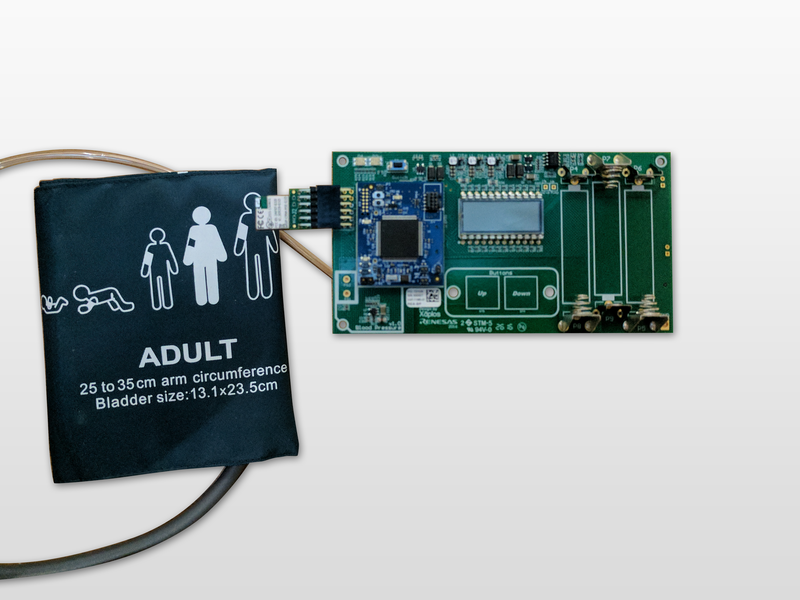 Renesas has developed the Healthcare Meters Kit as a proof of concept and for enabling customers to reduce their time to market. This blood pressure module uses a cuff, plus pump method, to monitor blood pressure, which is displayed on the LCD display and mobile app. Battery charging is done through a USB port, and touch buttons let you change settings.